You can also get environmental and health benefits, removing objects or materials that accumulate fungi and many other factors that cause health problems. These and many others are the reasons to renovate a home, and here we present some ideas that you can take advantage of very well. Many times the lack of space is the main problem in a house. If you change your traditional doors by sliding doors, you can gain a right amount of centimeters and also be able to reorder those areas that were previously hidden. When you are looking to take advantage of all the spaces in your house, the hole under the stairs can work as a bookcase, storage room and even as a small studio. 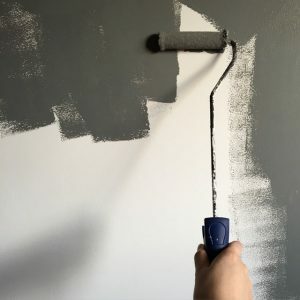 If your children love to paint on the walls, or if you like to write on the walls of your studio as a creative exercise, you can use a blackboard paint, which can be used as a canvas. Bet on furniture that can be transformed, as is the case with sofas, which will give greater flexibility to small spaces, or allow you to deal with unexpected visits.